Here’s a reminder that none of us has to do this alone. 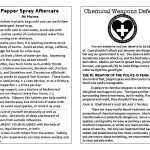 Please read, print, and share these two handouts, one produced by the National Lawyers Guild Portland Chapter and the other our own Protest Safety/Chem Weapons flier. Bring a buddy, layers, snacks and water. Consider eye and mouth protection in case of chemical weapons. But most of all, show up for yourself and for one another. Come receive herbal, acupuncture, bodywork, first aid, and legal guidance at this J20 Aftercare Session. Tea and snacks will be served. National Lawyers Guild attorneys, legal workers, and law students will be available to discuss legal options around police interactions and charges, and to help point folks towards possible next steps. Accessibility: The Q Center is wheelchair accessible, offers gender neutral bathrooms, and is on the Bus 4 line (7 blocks from MAX Yellow line). Though a community center for the LGBTQ community, all are welcome. To make this as inclusive a space as possible and to be good guests, we ask all volunteers and participants to ask rather than assume pronouns, observe people’s emotional and physical boundaries, and consider the impact of language and behavior. Volunteering: Organizers seek volunteer body workers, herbalists, energy healers, and other modalities of care workers to care for attendees free of charge. Volunteers are asked to email rosehipmedics@gmail.com or PM the organizers to inquire about requirements and timing. This list will be updated as we hear of new events. If you are a trained street medic and looking to plug into medic infrastructure, email rosehipmedics@gmail.com or find us at the events in Red Ductape crosses. During this 2-3 hour workshop, we discuss ways to prepare yourself for the next demonstration, occupation, or whatever else may be on the horizon. We cover everything from warm layers (no cotton!) to jail support and the proper treatments for pepperspray. Free and open to all. No pre-registration required for Friday’s event, which is wheelchair accessible and includes a nearby gender neutral bathroom. Check out the other facebook events for RSVP and accessibility information. Email rosehipmedics@gmail.com to sign up as a patient volunteer this Sat and/or Sun (Jan 7th & 8th) 2:30-5pm each day – or next Sunday (Jan 15th) around mid-day (exact time TBA). We’ll send you details and try to answer your questions as well. January 15th the Rosehip Medic Collective will offer an 8-hour Street Medic Bridge Training. 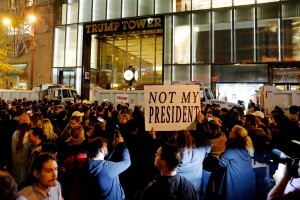 This is a training for people with current or recent medical training and experience (EMTs, Wilderness First Responders, nurses, doctors, combat medics, community healthcare workers) and a desire to learn some of the hows and whys of applying that training in settings of protests and liberatory movements. This one-day training covers much of the same material as our 20 hour Street Medic curriculum, but assumes that participants arrive with a confident grasp of their own patient assessment system and interventions–and builds on that training with street medic practice, anti-oppression approach, responding to police violence, and more. If you’re interested, but are unsure whether this training is right for you, email us your questions. Street medics come from all skill levels, as much EMTs, nurses, herbalists, or doctors as people with no formal first aid training or licensure. The training is holistic, focusing on preparation, actions and aftercare—as well as how to approach offering care in unsafe scenes, for populations that experience many forms of oppression, and with above all strong emphasis on consent. Participants leave with useful tools and framework to start work as street medics. Please note that we ask a $20-50 sliding scale donation, starting with a $10 deposit to hold your place. These funds cover training supplies and support our work in the community. If this ask would represent a barrier to participation, please email us to request alternate arrangements. Trained street medics are invited to review/refresh any part of the training at no charge or by donation. Registration is limited & we can only hold spots for folks committed to the whole day. If you don’t have time for the whole training, get in touch–we will be offering shorter Health and Safety workshops and need volunteer patients/other roles to make these trainings a success.